The Brexit referendum of June 2016 seems a long time ago now, but Britain is yet to fully understand the consequences of what our exit from the European Union will mean and the ramifications it will have on our businesses and manufacturing sectors with the pharma industry being one such sector that is destined to be affected greatly. Sabby Gill, from Epicor takes a look at how embracing the right technology could help pharmaceutical companies weather the storm. Just this summer the European Medicines Agency (EMA) and the European Commission jointly published regulatory guidance that said drugs made in Britain will be treated as imports by the EU in the event of a “hard” Brexit and that the life sciences sector will face a series of new regulatory obligations as a result. The paper is a stark reminder of the potential disruption UK-based companies could face if Britain and the EU struggle to reach agreements on regulation of various areas in the economy. However, in reality, many issues are still up in the air after only a few rounds of negotiation talks. Yet on a practical level, the EMA has already said that the agency—currently based in London’s Docklands—should find a new home for its 900 staff in an EU country. This issue has rightly thrust the regulation of the pharmaceutical sector in the UK into the spotlight as a key point to be negotiated in the run-up to Brexit. But with so many ‘known unknowns’ what can companies operating in the industry do to prepare? And does technology now have an even more important role to play in weathering the Brexit storm? Pharmaceuticals are a hugely important industry for the UK, creating thousands of jobs and generating over 10% of the country’s gross domestic product. The industry is increasingly voicing its worries about the post-Brexit future. So much so that, the chief Executive of GlaxoSmithKline, Britain’s largest drug manufacturer employing 17,000 UK staff, warned the industry needed time to adjust to the coming disruption. And in response to the EMA paper, the Association of the British Pharmaceutical Industry (ABPI) recently warned of a “crisis” scenario of drastically reduced access to European markets and hundreds of millions of pounds of restructuring costs unless a swift regulatory deal can be struck with Brussels. With the EMA regulating medicine for the entire EU market—which in turn accounts for a quarter of all global pharmaceutical sales—the sheer size of the potential impact of the UK’s withdrawal is undoubtedly worrying for the sector’s businesses. The process is likely to affect every stage of drug development and commercialisation, from the earliest stages of research to pricing and distribution throughout the world. Nevertheless, the good news is that the industry already has experience of dealing with fast-changing operating environments. 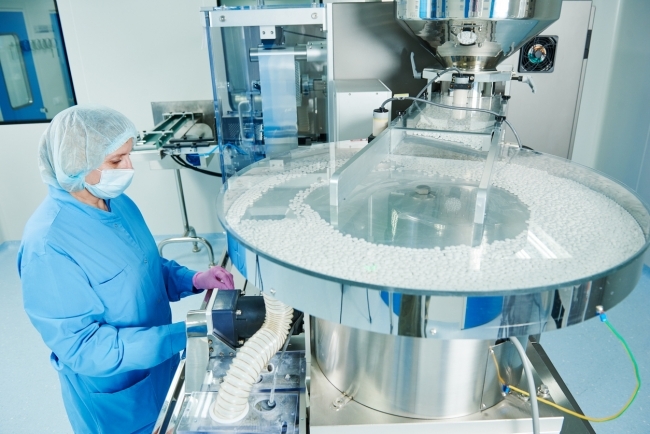 Like many other sectors, the pharmaceutical industry today is changing due to increased competition and demands for efficiency, alongside the development of a myriad of international regulations and supply chain complexity. The companies that learn to adapt to new regulations are best placed to take advantage of new market opportunities and drive business growth. So, what steps should the sector be taking now to prepare for upcoming regulatory changes? With so many unknowns, one thing is for sure—pharma companies must continue to ensure that they remain compliant with the regulations that control the market every step of the way, whether they are EU directives or the ensuing UK rulings post-Brexit. Failure to build-in compliance to every part of a company’s processes can have a significant impact on a business. 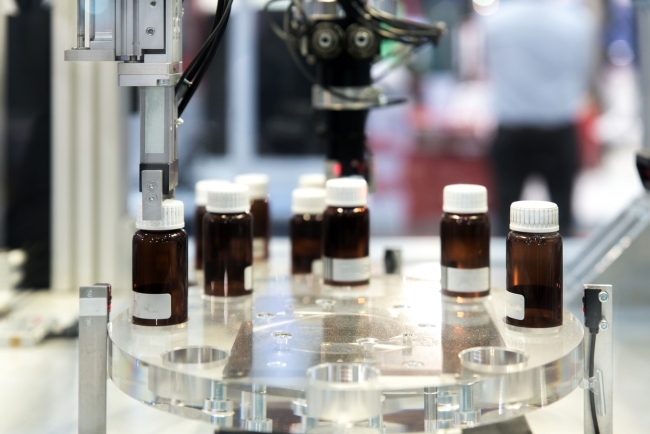 For example, if product re-testing needs to be done, it can lead to manufacturing downtime, increased manufacturing costs, product quarantines, increased waste, and product shortages. That’s why ensuring compliance—whatever that may look like in the future—must remain a priority. During the global financial crisis, those businesses that were able to best weather the storm brought about by international economic uncertainty were those who had the right processes and procedures in place to respond quickly to the changing nature of the markets. The issue of post-Brexit uncertainty is no different. In this context, technologies such as enterprise resource planning (ERP) software can add real value to pharmaceutical companies by providing a holistic view of a company’s operations and access to real time data that ensures decisions can be made to overcome potential challenges that lie ahead. Software can automate processes and reports to make compliance much easier and businesses more efficient and better able to adapt to change. For example, post-Brexit UK businesses will have the opportunity to open up trade with new countries around the world. In order to conduct business globally, enterprise business software enables compliance with local laws, satisfies international security measures and meets the many different local and regional documentation requirements. It can also provide manufacturers with greater traceability in their business processes. ERP offers technology that will verify and track each component in the production process and assist in any needed recall actions necessary to remain compliant in all territories. Updating legacy systems and replacing multiple disparate solutions with one, end-to-end system provides an opportunity to create a robust framework to support the various demands of local certification and audit requirements. This can include comprehensive change logs with time and date stamp capability, business process management that can deliver approval criteria for key processes as well as support for electronic signatures and Electronic Batch Records to meet the requirements of CFR 21 part 11. Despite the uncertainty surrounding Brexit, international business will, of course, still carry on and UK pharmaceutical businesses will be looking for growth opportunities. Agile and responsive ERP technology can help pharmaceutical businesses weather turbulent times and be equipped to grow their businesses whatever regulations are placed in their way.